I have mentioned this before. Seriously magical stuff available everywhere you go. Sesame oil has helped me and a lot of people I know with psoriasis, dry scalp, sun burns (absolutely magical when one has a sunburn). All you do is take sesame oil, not the toasted kind, and put it right on your skin. Put is on your scalp for a scalp treatment. I prefer to use it when before I get into the shower. I find the heat from the shower opens my pours and my body just soaks up the sesame oil. Try mixing in a few drops of your favorite essential oil, or blend some. My skin is happy, my friends are happy with it. I do not make a cent of off this blog. 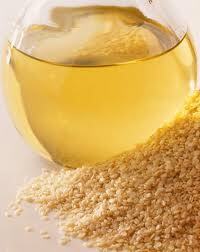 I share cause I am excited and want to talk to people about their experiences with Sesame oil. Try it and let me know what happens, hell let everyone know. And remember, Imagination is the best medicine.